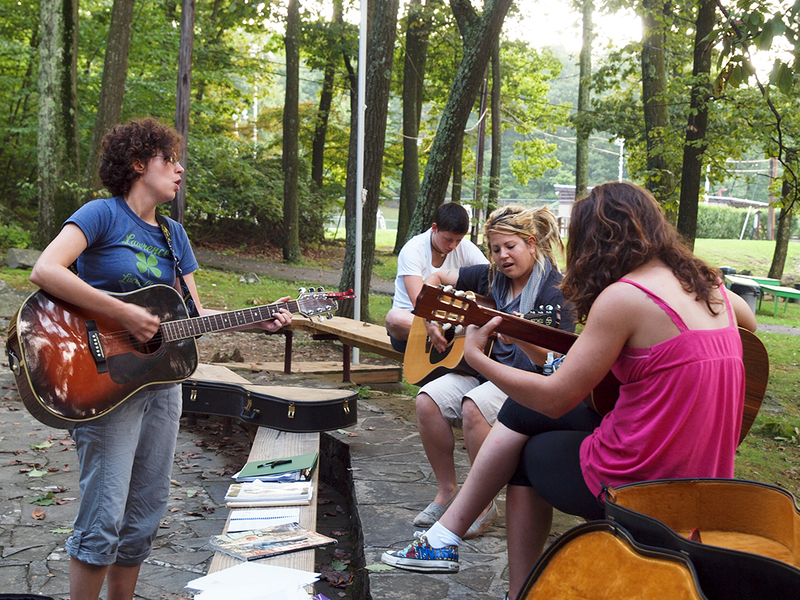 We have reached the best part of the year once again – Circle Reunion at Camp Louise! Registration will remain open until the day before the event, but a late fee of $25 will be applied after August 18. This year, we are excited to offer both online and mailing registration. If you choose to register online, there will be a small processing fee for credit cards. Also, you will only receive a registration packet in the mail if you are in the Circle Database. Camp has another rental group using the facilities during the week. They will leave by 3 pm, so we ask that you plan to arrive after 4 pm. You may want to bring some cash just in case. We’ll have mementos available, an auction, and other activities. More information including packing lists, itinerary, etc. will be available when we get closer to the event. The deadline for Reunion registrations is August 18, 2017. After this date all registrations require a $25 late fee. How do you create lodging assignments? Several factors are considered including space, timing and reciprocal requests. We will do everything we can to place you in your requested lodging. Try to be specific (use names, not CIT years) and reciprocate requests. Linens are not provided. Please bring your own bed linens, pillows, blankets and towels. Check-in to Reunion will be in the Dining Hall any time after 4 PM. You will be given your room assignment and name badge at this time. Please note that there will be a rental group at camp before us. We will not get access until 3 PM at the earliest. By arriving at 4 PM, you’re giving us enough time to get check-in set up. Can I park near my lodging? In order to maintain a safe environment during the weekend, Camps Airy and Louise has instructed all attendees to park in the gravel lot outside of the gate after dropping your stuff off. You will be asked to move your car if it is not parked in an approved area and your car could be towed if it is blocking an emergency pathway. The dining hall parking lot and white house spots are reserved for handicapped parking only, please email lesleyl@camplouisecircle.org if you require a handicapped spot. Wearing white for Shabbat is optional but encouraged! What happens if I don’t eat the meals? Do I get a refund? Refunds are not available for meals you choose to not eat after you have made your reservation—food is purchased in advance and cannot be returned. The price of Circle Reunion includes operating fees for all Reunion participants—water, electricity, housekeeping, security, trash removal, tax, gratuities, etc., as well as Reunion activities, whether or not you participate. The Reunion weekend is a not for profit event; all fees are used to cover our operating costs. The full weekend package is the best deal – and provides the best opportunity to connect with your Camp Louise Circle sisters and brothers! We recommend that you make a contribution based on the age of the child. Children 6 to 12 can be considered ½ of the adult price. Include the child’s age on the reservation form. This also helps to place similar-age children near each other and to create a quiet area for those who go to sleep early. We do not permit pets at Camp Louise during Circle Reunion. What is the Circle Town-Hall Meeting? This town-hall-style meeting allows the membership as a whole the opportunity to present any questions or concerns they have regarding Circle to the Board Members, so be sure to attend! We will be announcing the newly elected Board members at the meeting. If you have not voted in Circle Board Elections online, your last opportunity to vote is the Friday of Circle Reunion. It will take place on Saturday morning of Circle Reunion in the Social Hall. If you have a topic to present at the Town Hall Meeting, please contact Circle President Iris Maslow at irism@camplouisecircle.org by Monday, September 4, so that you can be placed on the agenda and given appropriate time for your concern. Do you allow “drop-ins” during the weekend? No, we do not. At the gate, security will check your ID and make sure you’ve registered. If you did not, you will not be admitted to the grounds. All attendees must be registered by the night before Reunion. Also, please wear your badge at all times during the weekend. Life happens. If you need to cancel or change your registration, please contact Lesley Levin. You will receive a full refund if you cancel/change 30 days prior to the event, and a 50% refund if you cancel/change 14 days prior to the event. If you have a question not addressed in this mailing, please contact Lesley Levin or any member of the Reunion planning committee (Jennie Cohen, Melanie Blatt, Bobbie Miller, Karen Levin).